Jim Rodd is a Financial Advisor at WestPoint Financial Group. He entered the financial services industry in 1984, and works extensively with small business owners, professionals and their families. He helps them accumulate wealth to meet their personal and business goals. Jim’s services include: Estate Planning, Retirement Planning, Investment Management Services and Risk Management. Jim attended the University of Cincinnati and received a Bachelor of Business Administration in Finance and Quantitative Analysis. In 2011, he earned his ChFC designation from the American College. Jim is a Member of the National Association of Insurance and Financial Advisors, as well as at the local level in Cincinnati. He is a Member of the Northwest Cincinnati Chapter of the National Exchange Club, and Clovernook Country Club. Jim has been a resident of Cincinnati area for over 30 years and currently lives on the west side of the city. 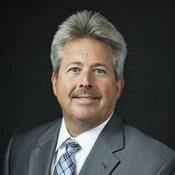 Jim Rodd is a registered representative of and offers securities & investment advisory services through MML Investors Services, LLC, Member SIPC (www.SIPC.org). Supervisory office 2365 Harrodsburg Road, Suite A300 Lexington, KY 40504 (859)223-4141. WestPoint Financial Group is not a subsidiary or affiliate of MML Investors Services, LLC or its affiliated companies.